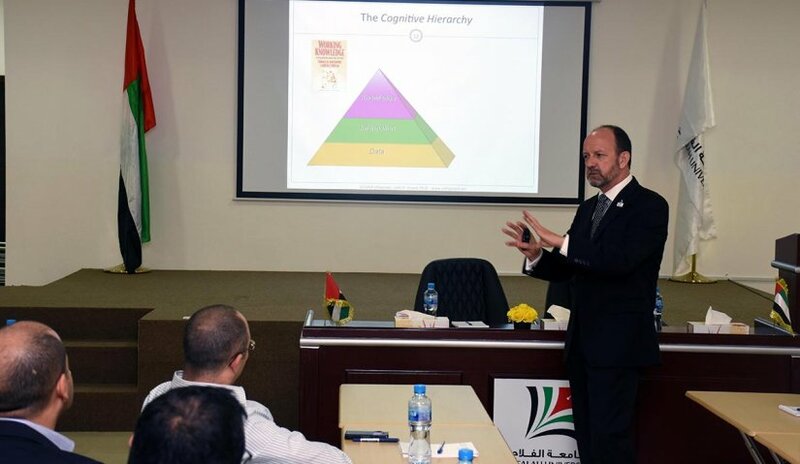 On Monday 15 February, 2016 a seminar entitled “A Leader’s Guide to Knowledge Management” was presented to Al Falah University faculty and staff by Dr. John Girard, a visiting Fulbright Scholar. Dr. John Girard holds the Peyton Anderson Endowed Chair in Information Technology at Middle Georgia State University’s School of Information Technology. His current research interests include how technology, leadership and culture enable knowledge management, innovation, and globalization. 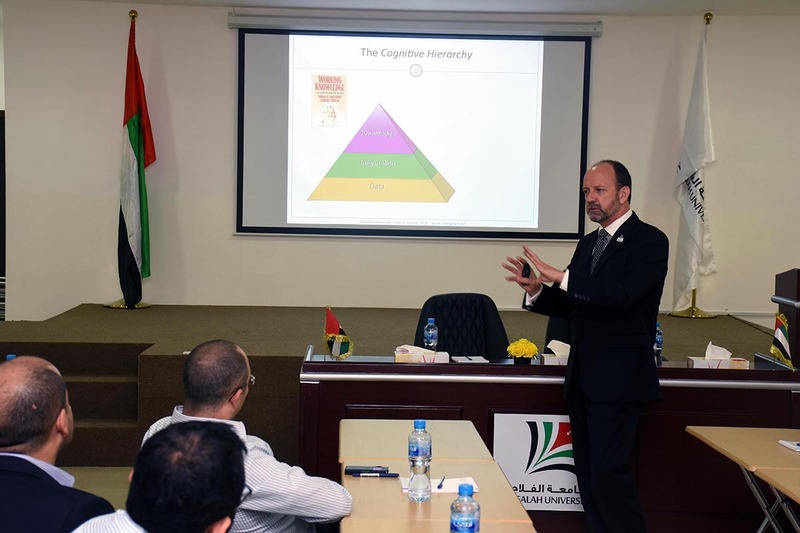 Knowledge management is an area of great interest in the United Arab Emirates (UAE). As the UAE moves toward Vision 2021, knowledge management will play a pivotal role. One pillar of the plan is A Competitive Economy Driven by Knowledgeable and Innovative Emiratis that may be described as a diversified and flexible knowledge-based economy will be powered by skilled Emiratis and strengthened by world-class talent to ensure long-term prosperity for the UAE. 1. 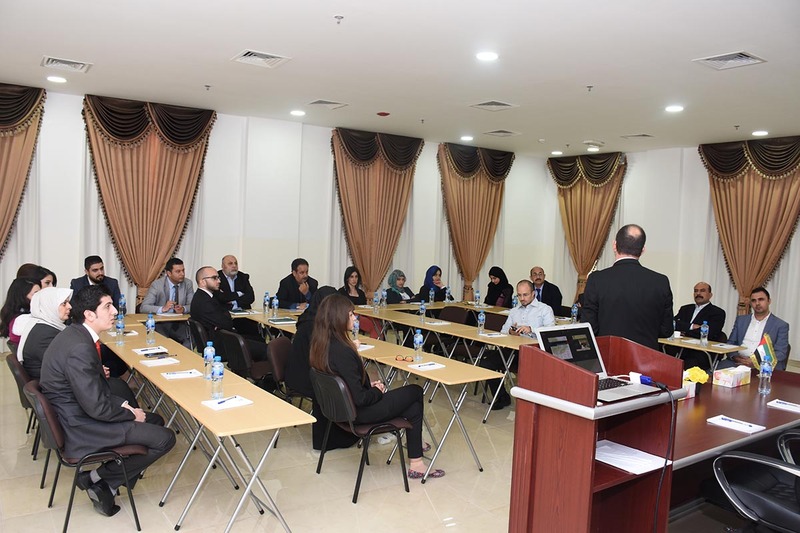 Educate faculty and staff at Al Falah University in the domain of knowledge management. 3. Use information to create knowledge, wisdom and understanding within the university context. 4. Help ensure the University is ready and able to support the knowledge intensive elements of Vision 2021 by educating staff in the domain of knowledge management. Participants benefited from an enhanced understanding of the importance of data in knowledge creation; developed the ability to garner information from data mining, and were able to evaluate the use of information to create knowledge and understanding within the organizational context.